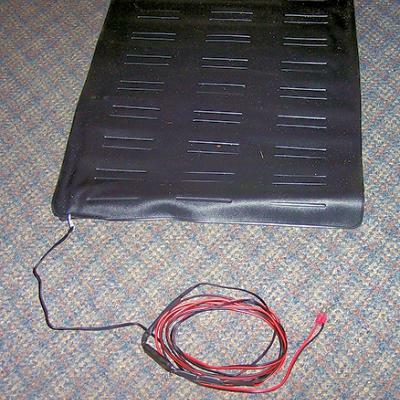 A Pressure Mat Sensor hidden under a rug alarms when the intruder steps on the rug. A Pressure Mat Sensor hidden under a rug alarms when the intruder steps on the rug. Hide the wires carefully because cutting the wires to the pressure mat disables the sensor without triggering the alarm. For this reason, a pressure pad should not be used as the only alarm sensor.